For a change I agree to the lines of the perpetually overexcited spokespersons of AAP – BJP for Municipal Corporation Of Delhi (MCD) is what ISIS was for Syria. They have destroyed the organization to the worst possible level one can. I also agree to the fact that the present state of Delhi streets and other public places would reflect the unholy functioning of the MCD, even with the basic parameters of a metro city. There were large scale corruptions too. All three wings of MCD were run by people in neck deep corruption. There was unbelievable incompetency as well. Overall, in last ten years, BJP made a complete mess of the civic body and the city of Delhi. That said this is not what points at the possible rigging of the EVM machines in the recently concluded MCD elections, which the AAP as a party is desperately trying to project as one. 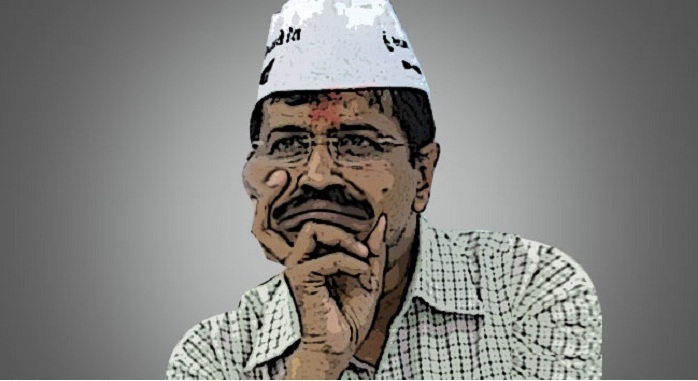 The loss of AAP is because of an entirely different set of reasons and it is better for the party to admit the mistakes and move on than engaging itself with incoherent and meaningless blabbering and behaving as extremely sore losers. Fact is, AAP got a humiliating defeat and it is they who are solely responsible for the rot they find themselves in today. Here is the thing. In 2015 AAP got a massive mandate, somewhat unprecedented in Indian politics. That was a mandate for Arvind Kejriwal, the leader. People of Delhi had shown immense faith in AK and his leadership and perhaps his style of functioning. Though rolling out doles seldom defines effective governance, I still took AK’s massive victory with a pinch of salt. May be people of Delhi wanted everything free and they got their man of choice to catalyse their desire. Now the same people (read voters) have rejected their man fair-and-square in about two years time. In the history of Indian politics no political outfit has lost its credibility as quickly as AK and AAP managed to achieve in Delhi. From 54% vote share in 2015 they almost halved their electorate share in just about two years. This is again as unprecedented as their spectacular win of 2015 was. There has to be imploding reasons for people to reject a party so savagely. AK and his stooges may want to find solace in their imaginary faulty EVMs stupidity but the facts on the ground points somewhere else. Is AAP, AK and his cohorts are ready to read the writing on the wall? I doubt, certainly after the reaction I saw from the known AAP faces after the results were out. First official reaction of the party in the form of Manish Sisodia’s press conference was bizarre to say the least. His utterances of how people could vote BJP over them unless the EVMs were rigged is a callous and lose statement that is not expected of sincerer and mature politicians and parties. This also reflects at the arrogance and complacency of the party as a whole. More than just being bizarre it also shows how AAP and its leadership were taking Delhi voters for granted. No sensible political outfit would stamp their authority on voters and their choices, irrespective of the nature and magnitude of mistakes they made while in power. This is more like a blind spot which AAP leadership thought to be non-existent. What amiss with AAP here is the crude reality of democracy – people vote you to govern, not to throw your tantrums all the time. Has the party ever showed interest in governing Delhi, for which they got the mandate? Let’s see. In an earlier post I wrote, AK is one person who simply doesn’t want to work. This attitude isn’t limited to AK alone; it spreads across the party. They got a great mandate to serve the people and establish them as a credible alternative in our political discourse but surprisingly that is what never interested the party and its leadership. They were in a hopping spree. Having bigger political ambition is fair with any political party but that certainly shouldn’t make you disregard people who have voted for you with a hope. Civilized people hate the ones who run away from their own promises. Post the 2015 win, AK left the state at the mercy of his worthless sidekicks and went around a countrywide drive to quote nonsense. Every damn thing under the sun had an opinion coming from AK. There are many political adversaries to BJP and Narendra Modi but AK was the only CM who got himself fulltime employed in slandering and mudslinging against the central government and Modi in particular. He even called Modi a psychopath out of frustration. He simply wasn’t interested to execute his responsibilities as the CM of Delhi and kept on dreaming to be the PM of the country by magic. Whenever Delhi was under a crisis, be it civic or otherwise, none of the ministers, including AK, were to be seen in the state. For straight two years post 2015, most of the ministers were busy campaigning in Goa and Punjab. They made their politics purely on accusations, most of the time baseless. They accused everything under the sun again. More than being there in their offices, they were seen defending their bogus accusations in courts in one or other defamation cases. This is certainly not what the voters of Delhi voted you for. On the pretext of pan-India growth you can’t neglect your governance. That is plain breach of trust and voters do mark these acts of political treachery very closely. The anger of the voters was destined to befall on AK and that is precisely what happened in this MCD elections. People’s anger has many folds for AK and AAP; being not truthful towards their responsibilities and promises is just part of it. The whole narrative behind the formation of the party was anti-corruption plank. People saw a bunch of honest individuals in AAP and saw their benefits in them. But what they got is far from what the party projected itself in the beginning. To their utter despair the voters realized the true colours of AK and AAP, which in a way is far worse than few regular political options. There are many in AAP who are deeply emboldened in corruption. There are few wife beaters as well. They ate lakhs and crores of ‘Thalis’ and ate close to a crore rupee ‘Samoshas’. Blue ‘WagaonR’ was long replaced by swanky cars and the ‘Aam Aadmi’ in AK shifted to a plush Bunglow, in fact two of them. The austerity vouching leadership started travelling business class, that too for personal work and party campaigning. Worst even, the fanfare was billed to the Delhi tax payer. Even the crores spend in defending AK’s personal adventures in courts as lawyer’s fee was billed to the tax payers too. In fact, the ‘Krantikaris’ end up worse than seasoned political class that the citizenry has come to despise for long. While the existing political class were considered known devils the self-proclaimed messiahs of AAP end up becoming even more evil. More than political dishonesty AAP broke the trust of the voters and they rightfully punished the thugs. AK and his moronic brigade can cry to the city centre and blame the rigged EVMs but the fact is the same voters who saw a change in them a couple of years ago actually end up looking fool and they were desperately waiting to correct their mistake at the first given opportunity. It warranted no dying necessity for the CM to fly to Hyderabad to act as a Rudali for Rohith Vemula when Delhi was reeling under Dengue and Malaria. In fact there was no other CM who acted as funny and mischievous as AK did in last two years. A CM has no business in demanding resignation of everyone else when his own track record has lot to be desired. Free doles can only win you an election but certainly can’t establish you as a viable political option. For that you need to work for the masses and as we all know, working is the thing that AK hates the most. He just wants power without any responsibilities or accountability. People saw through this charlatan finally and settled him for good. Way ahead for AAP and AK is precarious here onwards. As I wrote three years back when the party was formed, it is destined to die a painful and oblivious death. They would die because they don’t want to serve the people. That is not their forte either. They are largely self-serving and duplicitous characters of worst kind. That said, I know, politics is funny and anyone can revive his/her political balance over a period of time. It has happened in the past. But for revival even you had to have some achievements in the past for people to associate you with fond memories. AK and AAP have nothing praiseworthy to their credit. There is nothing worthwhile coming from them for people to remember them with goodwill. From the time of their inception till date, all they have done is to betray people, both their own as well as the voters. There are many core members of AAP who would certify these facts. You can’t possibly blame the entire world and still expect people to believe your falsehood in the long run. You end up looking bad finally. You can’t possibly blame everyone else’s way of functioning when you have only rot and filth to offer from your side. Things don’t work that way, not at least in politics. Of late voters have turned savage towards the political options they don’t like. They are even doubly annoyed with leaders and parties who are opportunist and liars at large. But for good I am happy that this bunch of liars and thugs are shown their rightful place. 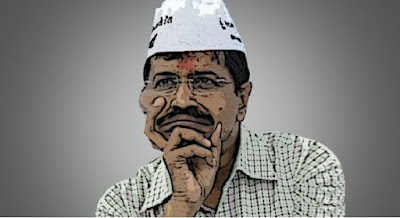 AAP as whole was a stinking pot from the beginning and it deserved to be disposed in the nearest dustbin. They were a disgrace in the public discourse and it was time that people call their bluff. This gang of third rate rascals are more than deserving to be settled for ever. Well done people of Delhi. You just may have saved yourself from these opportunistic morons at the right time. Hope you won't repeat your blunder in exchange of free water and free electricity.